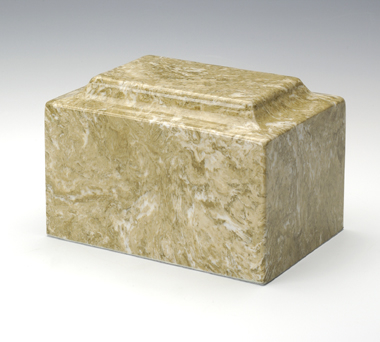 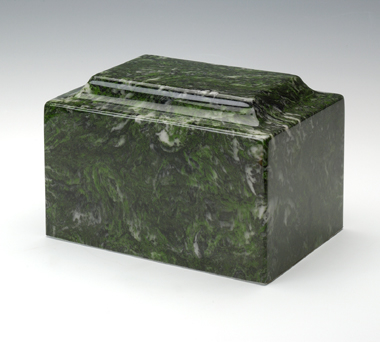 The Classic Cultured Marble Cremation Urn Vault is sized so that it is large enough for most adults who were under 6' tall and with a healthy weight less than 200 pounds. 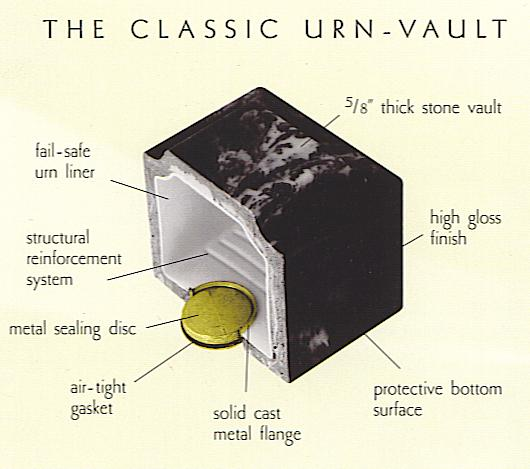 The urn has an inner lining which acts like an urn vault, keeping the cremains in an air tight, water tight tomb. 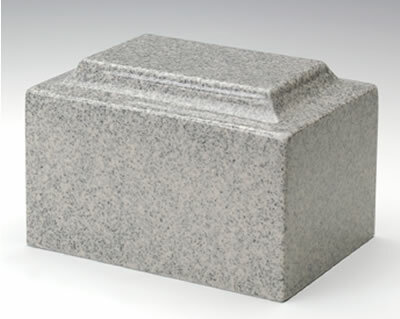 This urn has been tested and approved for burial without an extra urn vault, however, check with your cemetery on their rules and regulations regarding burial. 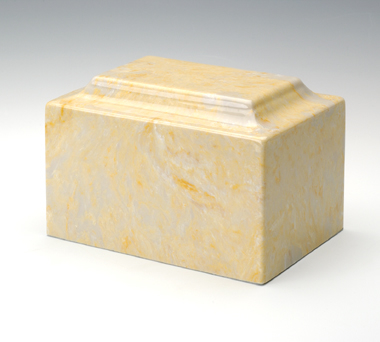 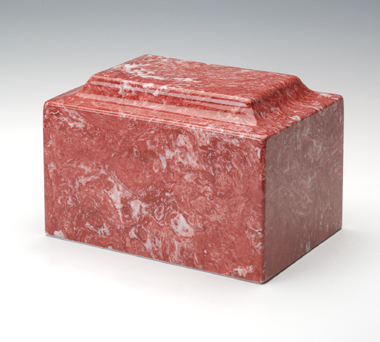 These urns are made from crushed natural stone and refined resins, then cold cast and hand polished to emulate natural marble stone. 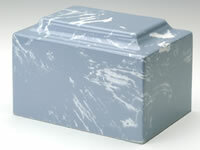 Therefore veining patterns and color will vary with each unique urn. 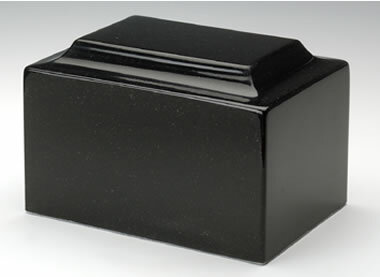 The Orca Black Granite has tiny white and gold flecks in it even though it looks like a solid color on our website. 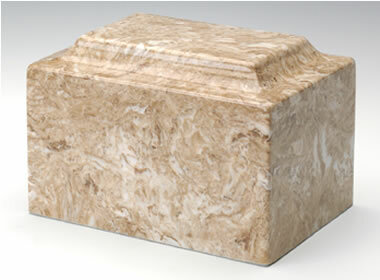 Cultured marble is popular for it's beauty and durability. 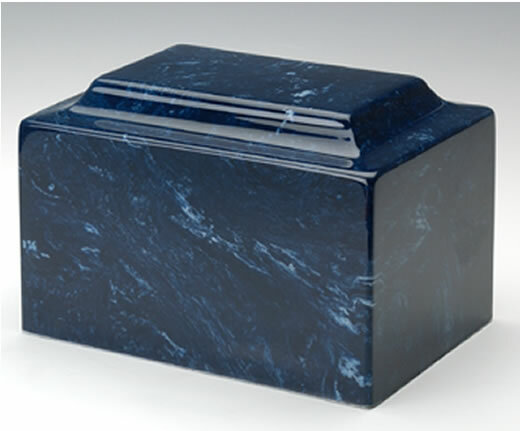 These cremation urns are highly customizable. 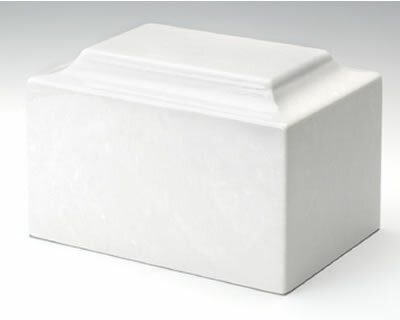 You can engrave name, birth and passing dates, a short sentiment, photo or clip-art image on the long side or short side of the urn or on top of the urn. 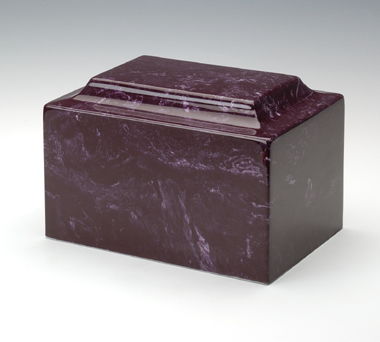 Photos can only be engraved on the white urn with black fill or the Orca black urn with white fill. 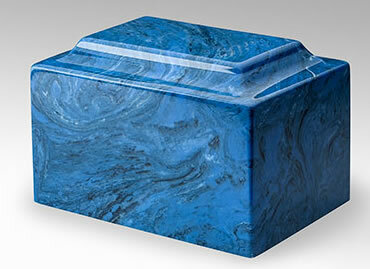 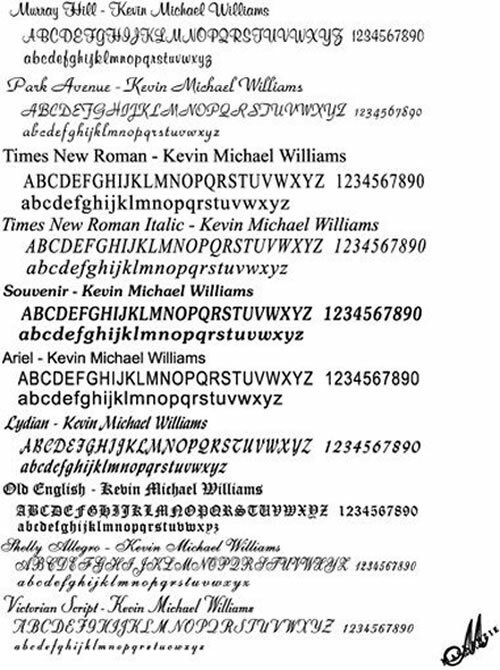 Please limit engraving to no more than about 35 spaces per line. 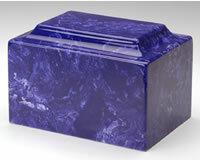 Please allow 3-4 days for the engraving process, even for expedited orders.